Dowsing, the idea that two disparate objects can find one another based on mutual attraction, is much like the belief in love at first sight: one person holds his or her heart in hand, feels it bending toward another and discovers the person who will make one of two. Practitioners of dowsing swear that by using a tree branch or rod, they can find water, minerals, or other objects buried in the earth. 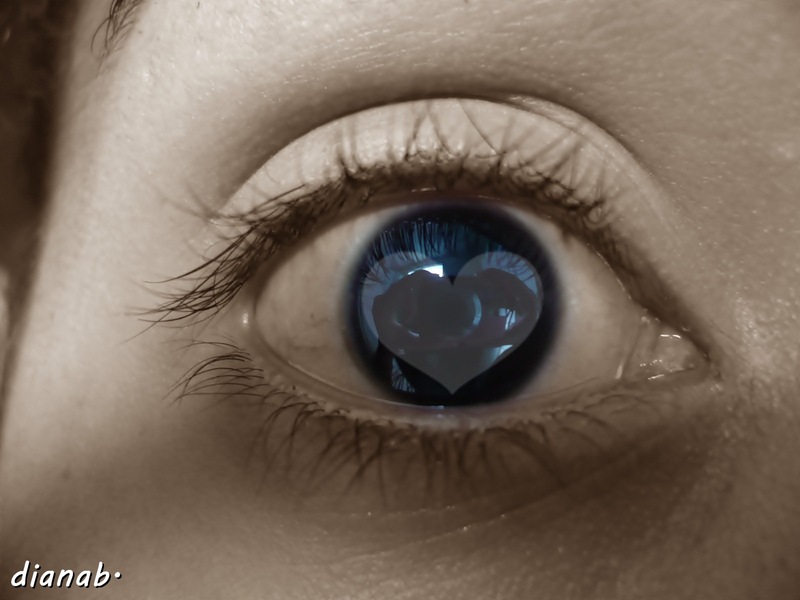 Love-at-first-sighters believe the heart needs only a glance to find true love. I believe in dowsing as much as I believe in love at first sight, which is not at all. Dowsers have been subjected to testing and come up equal to chance. Love at first sight is the same. Chances are it will work out; chances are it won’t. 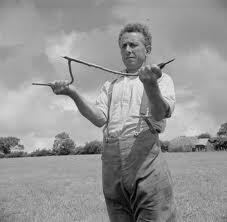 After I heard about dowsing when I was a child, I found a y-shaped tree branch and searched for water in the yard. Nothing happened. It turns out I didn’t need a stick to find the water that had already been discovered and conveniently came out of the outside faucet and through the garden hose into my thirsty mouth. I was as unlucky in dowsing as love at first sight. I did, however, later experience like at first sight, which led to love, but that is a different story. I hadn’t thought of dowsing for decades until the other day when I realized I was a master dowser and had been for years. My dowsing is unique in that with my handy tool I find not things, but people; and not under the earth, but atop it. The object used to find these people is a wheel with about a 15-inch diameter, and once it is in my hands, I achieve 100% accuracy in finding a particular kind of people: idiots. The wheel I use is conveniently attached to my car, so I don’t have to carry it about. 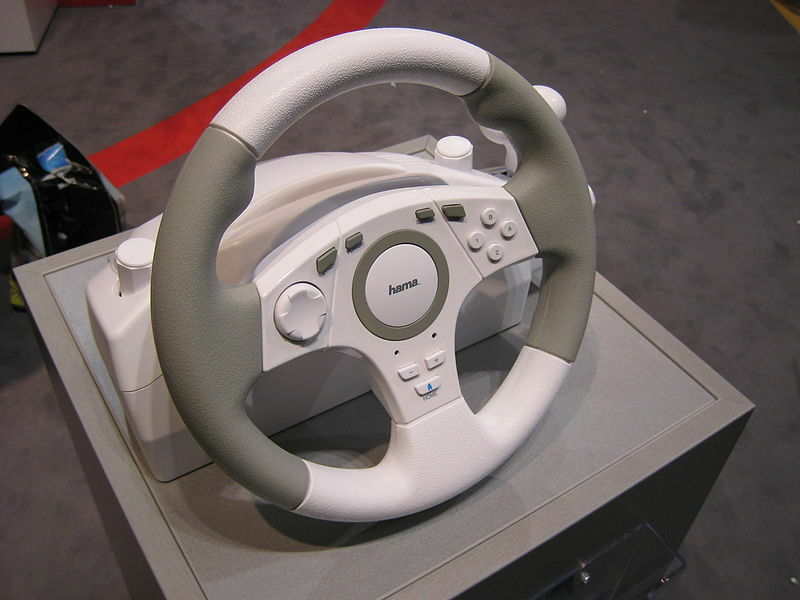 Once I pull out of the garage, the wheel instinctively leads me to idiots in other cars who don’t use their blinkers, who tailgate, who are clearly texting while driving, and who drive too much above or too far below the speed limit, or weave in and out of traffic curious to find out if everyone’s brakes still work. Unlike traditional dowsers who are looking for a desired object, I don’t seek these idiots out; my steering wheel finds them. I don’t use the term idiot lightly. A person has to commit driving acts that jeopardize lives to fit the category. Drivers who take the parking spaces I want are not idiots, they are merely selfish. I want, as is my wont, to remain positive and to avoid letting them figuratively and almost literally drive me crazy, so I have decided to keep a notebook like birders do. Yesterday I saw three red-hooded idiots, two Toyotan morons, a brown-headed blockhead, and a silver Cadillacan cretin. Imbeciles and muttonheads are almost too common to mention, but I intend to record them all. Mark my words (or at least my errors), future idiotologists will find my records valuable in tracking the increase of dunderheads in cars in Wisconsin. *Each time the word eschew is used on this    blog, both the writer and reader are granted  one piece of dark chocolate. If you don’t likedark chocolate, please let me know and I will kindly eat your piece.